I have started to research my wife’s ancestors, the Habers, Henrys, Burkes and Kohlhepps. Of those, I have found quite a bit about the Habers, Henrys and Burkes, but very little about the Kohlhepps. Clearly, there is still much to do. Most of what I have on the Habers I got by slogging through census records. They lived in Schenectady and the surrounding area. New York in the 1800s and early 1900s is a relatively easy place to hunt ancestors, since New York did their own census every 10 years, usually offset 5 years from the federal census. This means twice the opportunities to get a hit, and a more fine-grained view into the families involved. 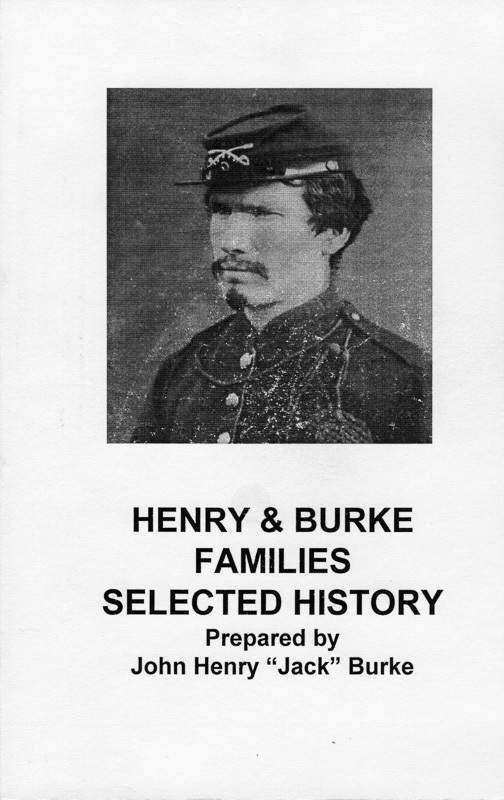 I also mined the census for quite a bit of information about the Henrys and Burkes, but I started with a booklet that my father-in-law published in 1995. The photo at the top of this post shows the cover of that book. The source page for that book shows the people referenced there. As you can see, there quite a few! It was an excellent starting point for tracking down the family. The Haber line is mostly from Germany, which the Burke/Henry line is primarily Irish and English. So my wife and I have similar ancestry. She keeps telling me I’m going to find we are related somewhere back there, but if that is true, it doesn’t look like it’s within the last couple of centuries!